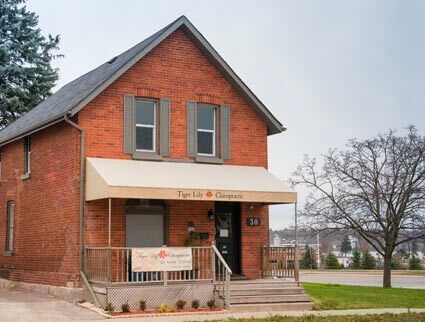 Named after her mother’s favourite flower, Tiger Lily Chiropractic was founded in 2008 by Dr. Keira Collins. Seen throughout Barrie, these vibrant flowers are known for blooming almost anywhere, whether it be in rocks or sand. Just as the tiger lily can thrive in a variety of conditions, you too can bloom regardless of your health background. Through chiropractic care, you can move forward, grow and become healthy. From helping newborns and children to seniors and everyone in between, Dr. Keira enjoys offering quality care to people of all ages at her family wellness practice. She strives to help her patients build a healthy family foundation for a life of optimal health. Listen to yourself. Be true to yourself. Work with what you have. Move forward to make yourself as healthy and vital as you can. Dr. Keira offers gentle care to women through every stage of pregnancy. After they are born, children can benefit greatly from chiropractic care. While most children may not be in pain, there is likely to be a level of interference on your child’s nerves that is affecting their health and development. Chiropractic care can change that. Dr. Keira is certified in the Webster technique (for pregnant women) in addition to her certification with the International Chiropractic Pediatric Association (ICPA). She adjusts children very differently than she does an adult. While adjustments for children and adults are gentle, she uses minimal pressure and different techniques to help realign your child’s spine. Dr. Keira is passionate about helping her patients experience health and wellness and prevent disease — naturally. To support your health, she offers a variety of vitamins and supplements, postural devices, Footmaxx orthotics and an ergonomic analysis. She is proud to serve our vibrant community and welcome you to enjoy the beautiful scenery of Kempenfelt Bay right from the office. The practice is conveniently located in Barrie near the train station for busy commuters. Contact us to learn more about how chiropractic care can help!